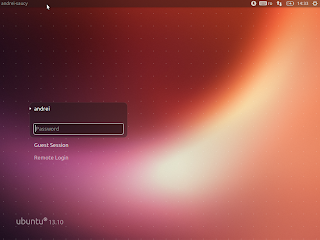 Light Locker, the new session locker for LightDM forked from GNOME Screensaver, has reached version 1.0 (stable). According to its GitHub description, Light Locker aims to be simple, secure and well integrated with the desktop while not carrying any desktop-specific dependencies. But the good news is that all the reported bugs have been fixed so Light Locker should now work properly when resuming from suspend, etc. Note: To use light-locker with systemd, you need at least lightdm 1.7.0. Light Locker doesn't work with lightdm version 1.7.5-1.7.9. For more information about Light Locker 1.0, see the release announcement. If you're not using Ubuntu, grab the code from GitHub. 3. Once installed, log out and log back in. 4. Light Locker should now be used when locking the screen from the session menu or when resuming from suspend, but the lock screen keyboard shortcut won't work. This can be fixed by setting a custom keyboard shortcut for "light-locker-command -l" (this is the command used to lock the screen) or by following the instructions below. Report any Light Locker bugs you may find @ GitHub.